Many people try to come up with a dog name that relates to them. Popular sources include hobbies and favorite forms of entertainment. 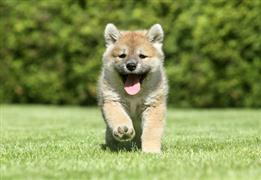 Fun dog names are those associated with the activities that people enjoy. Since asking ten different people what they think is fun will likely get you ten unique answers, this list has a wide variety of options. The names fall into one of two major categories of entertainment (games and sports). Playing games is a favorite pastime enjoyed by both children and adults. Othello, Checkers, and Scrabble are a few ideas taken from classic board games. Video games have been taking over household entertainment since the first game console was introduced in the early 70's. A few name options taken from consoles themselves include Odyssey, Atari, and Sega. Other ideas include many well-known characters that have appeared in popular titles. Sonic, Mario, and Link are a few of the greatest. Another excellent source of names can be taken from a favorite sport. Among the most popular sports in the US are baseball, football, and basketball. Good themed sports names could be taken from common terminology, favorite teams, or even a famous athlete. A baseball fan might favor the names Slider, Ranger, or Jeter. A couple of ideas for football fanatics include Namath and Blitz. Lebron, Kobe, and Jordan are Basketball-themed suggestions. Some of our pages will contain a subcategory. A subcategory is a slightly more specific grouping than the main topic of the page. For a subcategory, we will include a separated table of names and corresponding descriptions. An example of a subcategory of Red Dog Names would be 'Dog Names Inspired by Red Wines'. If you have any subcategory ideas for the Fun Dog Names page, we would love to hear them. Use the form below to submit your ideas.